Samsung has shipped a new 20.3 megapixel NFC-enabled smart camera that can be teamed with the company’s NX 45mm F1.8 interchangeable 2D/3D lens to allow photographers to capture both photos and HD videos in 3D. 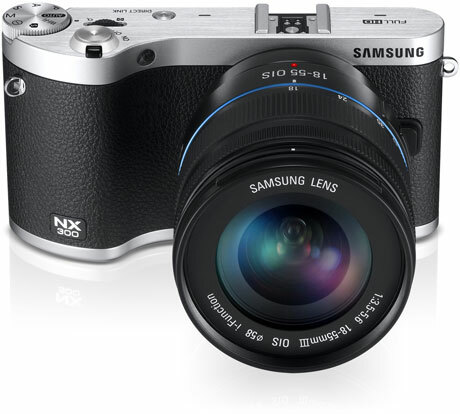 The NX300 is available in black, white or brown and allows users to share their images through the Smart Camera app, available on Android and iOS, using the camera’s dual-band WiFi connection. An internal NFC tag is used for device pairing and setting up wireless data connections, and can also be used to trigger a ‘remote viewfinder’ mode where the camera is controlled from a smartphone. The £600 camera also has a 3.31-inch tilting Amoled touchscreen and boasts a hybrid autofocus system, 8.6fps continuous shooting and a class-leading shutter speed of 1/6000 second.